Today our breed has reached an amazing milestone. 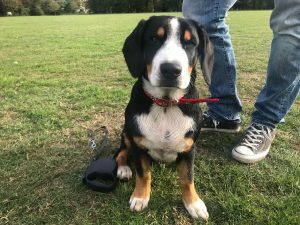 With the arrival of Kylo from the Czech Republic we have 100 Entlebucher Mountain Dogs resident in the UK. From the first one to arrive in 2003, to the tenth in 2008 it has taken us a further ten years to reach a hundred and we are absolutely delighted. Our Club will officially be ten years old next year and it is exciting to be able to celebrate with such a strong base to build from. 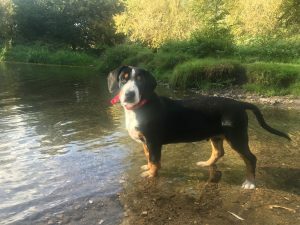 Welcome little Kylo, we hope you are your family will be very happy together.